Atrial Fib and Stress … Are They Related? Rosalie Ungar is the author of IN A HEARTBEAT: The Ups & Downs of Life with Atrial Fib. This blog was first published on August 19, 2017. 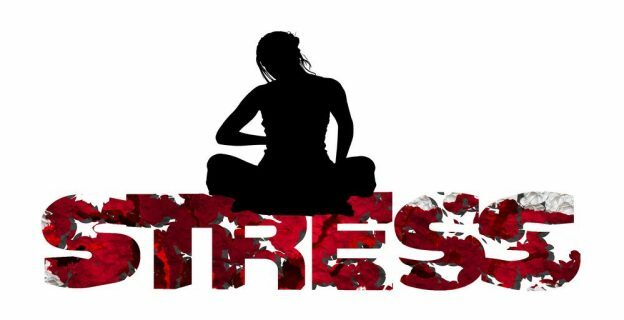 How do you relieve stress? Now that I’ve been clear of A-fib for almost 10 years, it’s difficult to blame stress. Plenty of it in today’s world but learning to contain or eliminate mental strain takes effort and sometimes the results are the biggest pleasures. Take, for example, Oscar our Somali cat. Being a cat person myself, it was a blow to find out, when I fell in love with Ed 20 years ago, that he‘s always been allergic to cats. At the time I had 2 cats, a downer for continuing our relationship, but I married Ed anyway and my cats went to live with Megan, my great niece. Seven years later Oscar came into our lives. His breed is mostly hypo-allergenic and he hardly sheds, but we had to travel to Phoenix from Columbus to buy him from a special breeder for his Egyptian lineage. Oscar is 8 years old and the 3 of us are a family, apart from our 5 children and 10 grandchildren. We don’t dare have discourse in our household. It upsets Oscar. He’s social and wants to be around one or both of us always. He loves company and often performs for guests. He’s an ‘in your face’ cat, but Ed’s allergy never bothers him around Oscar. 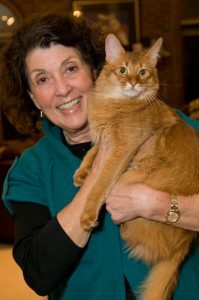 I have read and heard that pets are soothing and great stress relievers for older people. Dogs are great too but for me, I prefer cats. They’re less work. Oscar cleans and grooms himself, eats only cat food, plays and sleeps most of the day and uses an electric litter box. Read about life before Oscar, IN A HEARTBEAT: The Ups and Downs of Life with Atrial Fib, a memoir in paperback, e-book and audio book, available on line everywhere. This entry was posted in Blog on October 21, 2018 by Mark Layman.